You'll love our dry organic carpet cleaning service! We Guarantee It! Proudly serving Smyrna and the Greater Nashville Area! 100% Clean, Dry & Healthy Carpet Cleaning: If spots, spills, pets or dirty, matted traffic paths have made your carpet less attractive, it’s time to call Personal Touch Dry Carpet Cleaning for “Cleaner, Drier, Greener, Healthier” carpet cleaning. .
We offer a 30 Day 100% Clean Carpet guarantee. The beauty our Guarantee is it’s simplicity, yet it still provides all the protection you deserve. “If you’re unhappy with any carpet, tile or upholstery we’ve cleaned, just call us within 30 days and we will come back and reclean it free of charge”. Welcome to the website of Nashville and Surrounding Counties original dry organic carpet cleaning company. Our #1 mission is to provide an eco-friendly, safe carpet cleaning that will leave your home looking and feeling fresh, clean and healthy. Click here for a FREE No-Obligation Quote, sign up to receive our special offers, call us with any questions and enjoy our exclusive savings! At Personal Touch Dry Carpet Care, we’re passionate about providing the best carpet cleaning service you’ve ever experienced at at price that’s represents your best carpet cleaning value. With our unique dry organic carpet cleaning system, you will receive not only the deepest carpet cleaning available, but also peace of mind knowing we use safe, non-toxic, eco-friendly products. Our process thoroughly rids your carpet of dirt, stains, allergens and other contaminants and even removes soil and detergent left behind by other methods or inexperienced carpet cleaners. You’ll Love It… We Guarantee It! Dry Organic Carpet Cleaning means Super Clean CARPETS! Don’t be misled by other carpet cleaning companies who use inferior carpet cleaning systems. If they can’t remove 100% of their dirty soap and water, your carpet isn’t actually clean. 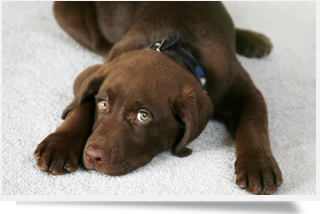 We use a 100% Natural Dry Organic Carpet Cleaning System. It’s the NEW WAY to clean carpet! 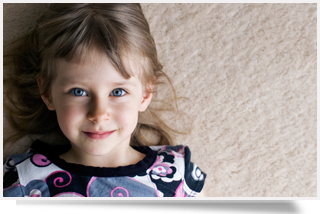 We proudly provide premium dry carpet cleaning in Smyrna and the Greater Nashville area.